he lautten compagney Berlin is one of the most renowned and creative baroque instrument ensembles in Germany. Their concerts, under the artistic direction of Wolfgang Katschner, have fascinated audiences for three decades. With their infectious joy in performing and their innovative concepts, these 'early musicians' effortlessly translate the musical language of the Baroque to the present. The ensemble has received numerous awards for its exciting musical collaborations (2010 ECHO Klassik for 'Timeless', 2012 Rheingau Musik Preis). The lautten compagney is a regular guest at leading national and international concert halls and festivals, including Concertgebouw Amsterdam, Vienna Musikverein, Handel Festival Halle and Mosel Musikfestival. Twice a year, Wolfgang Katschner and the lautten compagney invite audiences to join them at AEQUINOX, a music festival for the equinox in Neuruppin, Brandenburg. Since 2014 the baroque musicians are also the ensemble in residence at the Festival Alter Musik Bernau. 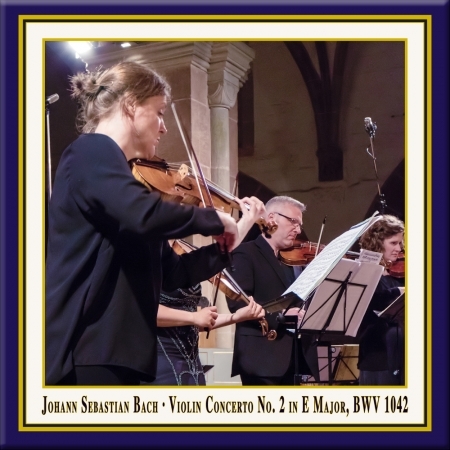 The violinist Julia Schröder studied at the conservatory 'Gasteig' in Munich, at the Basel Music Academy and at the Schola Cantorum Basiliensis. Since 2004 Julia Schröder is the concert-mistress and director of the Basel Chamber Orchestra. Under her leadership the ensemble played in major concert halls in Europe such as the Vienna Musikverein, the Berlin Philharmonic, the Concertgebouw in Amsterdam, the Cité de la Musique in Paris and the Barbican Centre in London. In parallel she is a soloist accompanying artists such as Sol Gabetta, Andreas Scholl and Cecilia Bartoli. In 2010 she was called at the Freiburg Music Academy (D) to be a violin professor. She enjoys playing with Maurice Steger, Marcelo Nisinman, Gerard Wyss, Werner Güra and Christoph Berner. Julia Schröder is now a modern and universal musician, feeling comfortable in the world of modern violin as well as in the style of baroque play, while being also at ease in the improvisations of Jazz and she likes to play tango, too.